That’s why we’ve invested in new window covering technology that is sustainable, virtually cord free and able to be operated at the touch of a button. Convenient, practical and simple to use. Kresta’s ‘M’ range of motors gives you the option of having your blinds fully automated. Open or close your blinds at the touch of a button from your bed or chair using the remote control or through an Android or IOS device by adding the Bridge Hub thus integrating with your home automation to coordinate all your windows and smart wired appliances. Kresta’s Electric Roller Blinds can also be used with a range of other Kresta Motorized products, to make your choice of window coverings even easier. Kresta’s ‘M1’ & ‘M2’ Electric Motors are backed with a 5 Year Warranty and the Rechargeable ‘M3’ Battery Motor comes with a 2 Year Warranty. 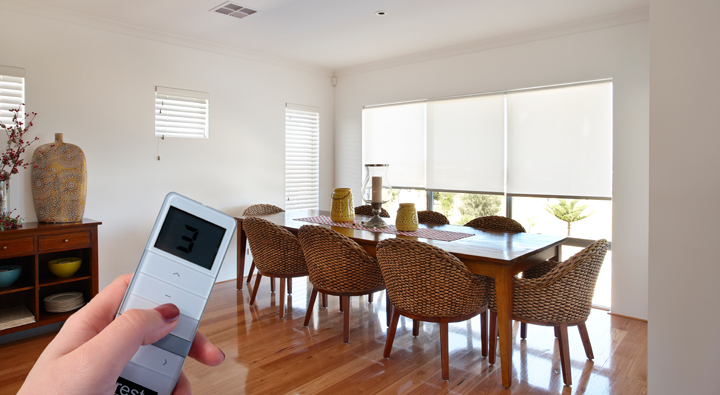 Fully automated – control blinds at the touch of a button. Available on a range of Roller and Roman blinds. Selected Kresta products can be integrated with home smart wiring to co-ordinate all windows, shutters, blinds, lighting and security. Would you like a price on these custom made Kresta Electric Roller Blinds? Please email me information on products, services & specials from Kresta. *Terms and Conditions apply. 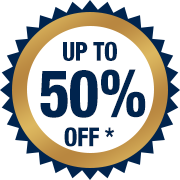 This offer applies to all products except Shutters, European Awnings, Clearance Range and items included in the current promotion. Ask our friendly Kresta consultants for more details. Kresta window covering products are only available within Australia. Kresta also offers blinds, curtains and shutters in New Zealand. Please refer to Kresta NZ for more information.